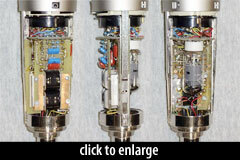 The “U67•CG” is a multipattern tube condenser. 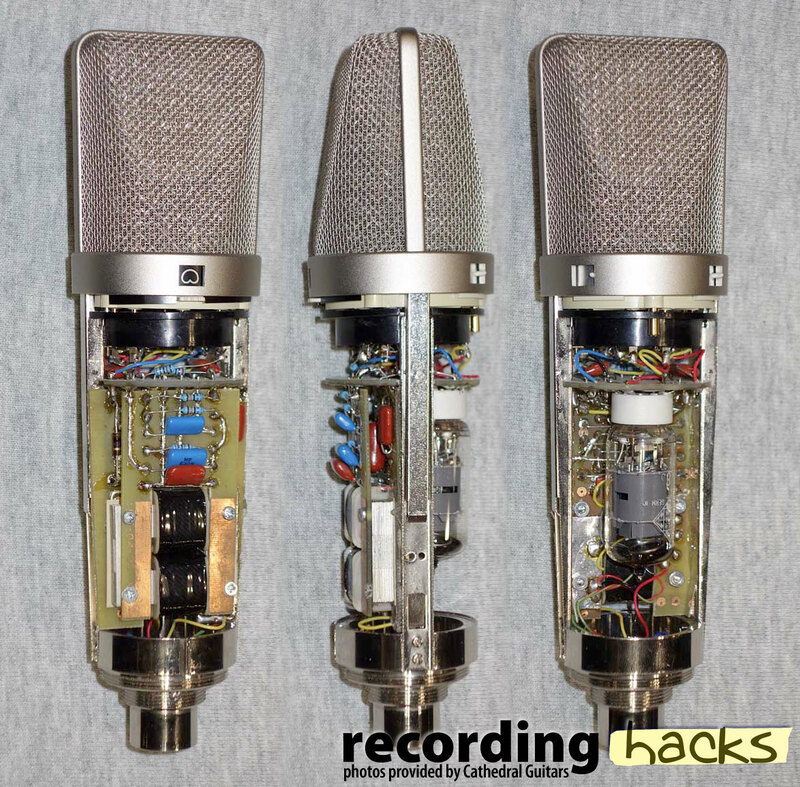 It is essentially a modernized U 67, built into the body of a Neumann TLM67. The TLM67’s modular headbasket and K67 capsule are retained; the mic’s transformerless circuit is replaced with a tube and transformer circuit based on the original U67. The mic’s circuit is built by AMI, and incorporates the company’s BV12 transformer. According to Oliver Archut of AMI, the mic can be ordered with historical capacitors, or any modern variant. The capsule in the TLM 67 is identical to the one in the original U 67. It is Neumann’s 34mm K67, a center-terminated design with dual backplates and dual diaphragms. As was true of the U67, this mic can be switched among Cardioid, Omni, and Figure-8 polar patterns, using the pattern control built into the headbasket. Neumann’s patented sloped grille from the U67 and U87 is also used in the TLM 67; this should allow the Cathedral Guitars U67 to more closely mimic the characteristic sound of the U67 than any other reproduction microphone. The power supply for the mic is built by AMI and is described as a replica of the original U67 supply. The microphone will ship with Neumann’s EA87 shockmount, a foam windscreen, and an AMI power supply.